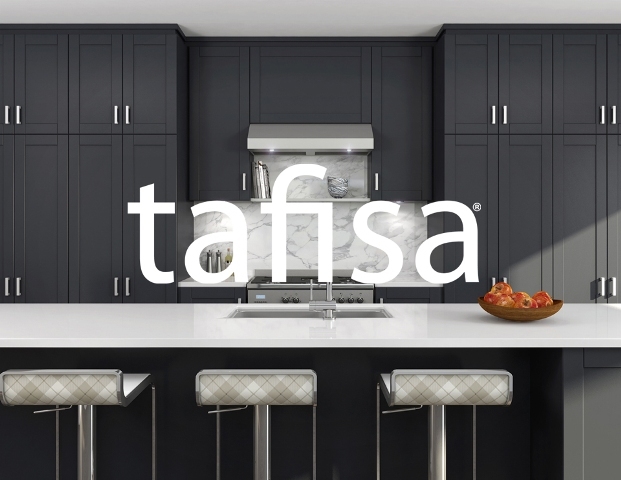 TafiPan particleboard are produced using only recovered and recycled wood residue, meticulously selected to create high quality, consistent panels for furniture, millwork, cabinetry and countertops. Incoming wood fiber is carefully sorted for specific properties and stored in on-site warehouses to protect from exposure to the elements. From there it is refined, dried, screened, blended with binder resins, and conveyed to one of Tafisa’s two state-of-the-art continuous presses. Our skilled production team follows the strictest norms throughout the process, and constant quality control testing ensures every panel meets the highest standards in the industry, board after board, year after year. You can judge the quality of a particleboard panel by the smoothness and integrity of its faces and edges. With TafiPan panels you are guaranteed smooth, precision-sanded faces and tight edges, whether they are sold as raw board, intended for downstream laminating or painting or converted into decorative thermofused melamine (TFM). Recognized for their durability and superior quality, TafiPan panels are often found in countertops, furniture markets and residential/commercial applications, with or without the decorative melamine surface. One key to sustainable construction and design is minimizing waste in downstream processes. That’s why TafiPan panels can be specified in dimensions for efficient processing by furniture and millworker companies alike.